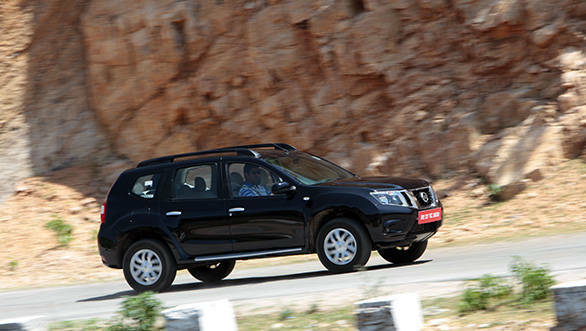 We've already reviewed the diesel Terrano, and we were eager to find out how the petrol fares. While the petrol version is unlikely to be the most popular Terrano, it still may find favour among a few who don't want to pay extra for diesel and merely need it for an inner city commute. 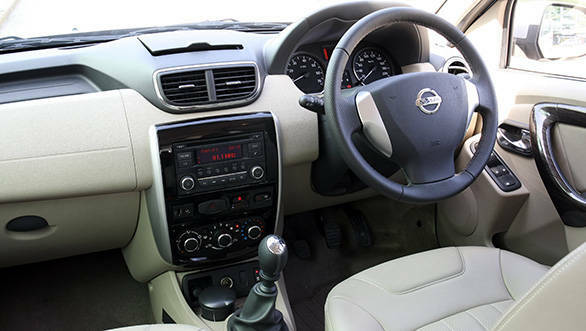 We recently got the opportunity to drive the Terrano petrol and here's our first impression. 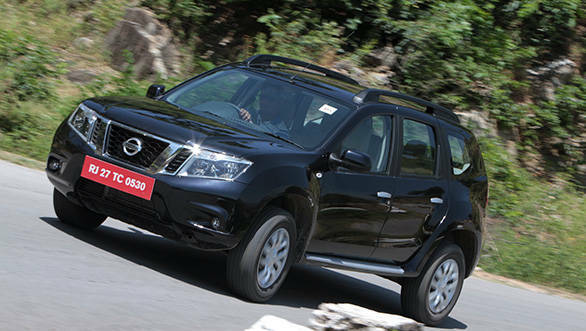 The petrol Terrano makes sense only if you want to drive an SUV around the city, with an occasional drive out of town. The 1.6-litre petrol motor makes 104PS of max power and 145Nm of torque. 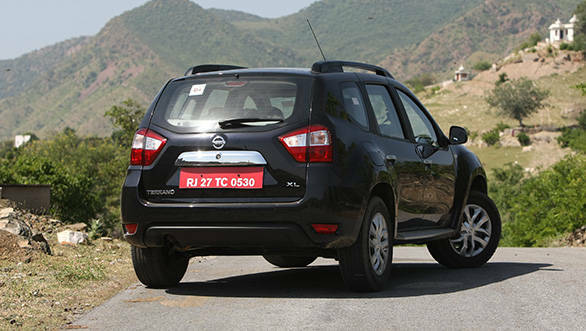 Mechanically, the Terrano and the Renault Duster are identical. Power builds up around 2000rpm and peak power is developed at 5850rpm. The engine lacks a bit of low-end punch asking you to keep the revs stuck in the power band to extract the best out of this motor. Driving in slow moving traffic, as a result, will make it a tad cumbersome. Making it easier on you though is the quick-shifting five-speed manual gearbox. Tipping the scales at 1.75 tonnes, the Terrano isn't as heavy as other SUVs, thus a high company-claimed fuel economy figure of 13.2kmpl for the petrol isn't a surprise. Since Nissan hasn't tweaked the mechanicals, the hydraulic power assisted steering has the same kick back as the Duster when you corner hard. It feels a bit heavier at low speeds, though it's much better appreciated and gives you a better and more precise sense of control as you speed up. Nissan India product planning head Chikuya Takada says it is not possible to eliminate the initial heaviness unless they use an EPS unit, but the Indian drivers prefer the feel of a hydraulic unit. The diesel, however, comes with electrically assisted hydraulic power steering; while there isn't any noticeable difference between the way the two handle, a tiny electric motor in the diesel eases the pressure on the engine to assist the steering.This is because the diesels are about 40kg heavier, and in case of the 85PS version, a little underpowered. The hydraulic steering draws power from the engine for assistance every time you steer, while the electro-hydraulic one uses the help of the electric motor, thus reducing load on the engine. The XL variant we drove gets 16inch steel wheels with full wheel covers and front fog lamps, fabric seats, two tone beige and black interiors and a 2-din audio system with USB, aux-in and Bluetooth connectivity. On the safety front, it gets ABS with EBD, brake assist and a driver airbag as standard fitment. 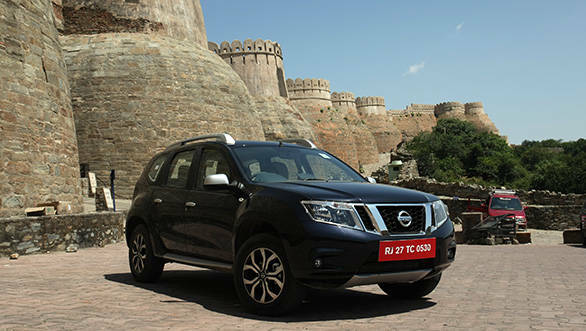 The Terrano is going to be about Rs 50,000-70,000 costlier than an equivalent Duster, so expect the XL Petrol to cost around Rs 11.7 lakh, ex-showroom Delhi. Even though the mechanicals are the same, the Terrano does feel like a polished diamond to the slightly rougher cut Duster and that's bound to play on your mind.